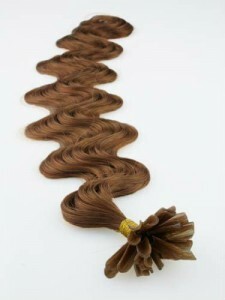 Hair extensions are a popular way to adding length and volume to your natural hair. While some people may actually have problems with extremely thin hair and slow hair growth, most people use hair extensions simply for aesthetic reasons. Earlier hair extensions were very expensive and it was difficult to find good quality ones, which is why only the well heeled celebrities used to opt for them. However, nowadays these extensions are easily available and even regular people use them as the modern methods of applying and removing them are also less cumbersome than earlier. There are many different methods for applying hair extensions to the hair which involve heat fusions, cold fusion, gluing, clipping, bonding etc. Some of these methods are meant for extensions that may only be used for a night out while others have more long lasting usage. 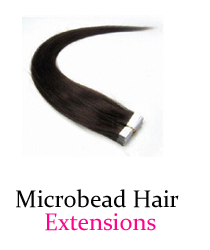 Among the long lasting extensions, Cold Fusion Hair Extensions are the best. Let us take a look at why this is so. 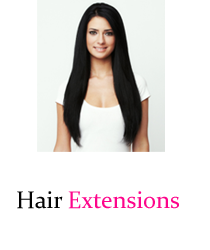 Hair extensions attached to the hair last for around 3-6 months and hence are a long term solution which ensures that you do not have to undergo the hassle of applying and removing them frequently. The method for applying these extensions does not cause pain and an average head of hair takes only 15-20 minutes to work with. In the cold fusion method the extension hair is attached to the root of the hair making it look completely natural. In this method a keratin based polymer is used to fuse the extensions to the root of the natural hair. This polymer does not have to be heated for fusion procedure unlike the hot fusion method where hot glue is used for attaching the extensions. At the same time the keratin based polymer does not become stiff which ensures that the look is completely natural. Cold Fusion Hair Extensions are better than hot fusion ones because in the hot fusion method hot glue is used. This heated glue can damage not just the hair shaft but also the root of the hair and repeated use of this method could cause problems like rough and damaged hair and excessive hair fall. While on the other hand in the cold fusion method the polymer used to fuse the extensions to the hair is at normal room temperature and hence it does not harm the hair in any way. At the same time, keratin is a natural substance found in the hair and as a result does not cause damage to the hair in anyway. While the keratin based polymer is used as a binding agent, the entire process of cold fusion hair extensions is based on rapid impulse which makes use of ultra sonic waves. In fact the procedure is so safe that many patients who lose their hair due to illness make use of this method in order to aid in the process of hair regrowth. It is an ideal choice especially for people who have fragile and delicate hair. Although it is possible to get both synthetic as well as human hair extensions in the market, the human hair extensions are the best choice. Try as they might, synthetically created hair extensions can only try to mimic the texture and fall of real hair but never succeed in actually doing so. 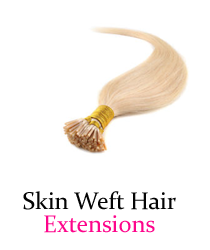 At the same time synthetic extensions can also cause skin irritations and excessive sweating. This is the reason that it is best to opt for human cold fusion hair extensions as they look completely like your own hair and appear completely natural.